The type is called Benguiat. It's the font of my childhood, big and mysterious and curving in a way that suggests the edge of something sharp, something dangerous. Something we, as children, should not be handling. Viking used it, in part, to make Stephen King's name iconic on their covers, though most would agree (myself included) that King himself did the real carving out, cutting his name into our imaginations like a mad-skilled butcher -- but not with Benguiat, no; he did it with the dull, spoon-like edges of an Underwood's Courier-shaped keys. And in this way, the Duffer Brothers' Stranger Things affects us. It entices us with a font, makes us remember a very specific set of iconography, then draws us into something far deeper, far richer: a collective well of imagination. The pitch is easy to imagine. It's Stephen King meets Steven Spielberg, the ultimate campaign: boys on bikes and a telekinetic girl battle monsters from another dimension. The execution, of course, could have been terrible. Nothing sits so uneasily as half-baked nostalgia that doesn't pay off. Super 8 is testimony enough to that. It tried. It wanted us to believe. 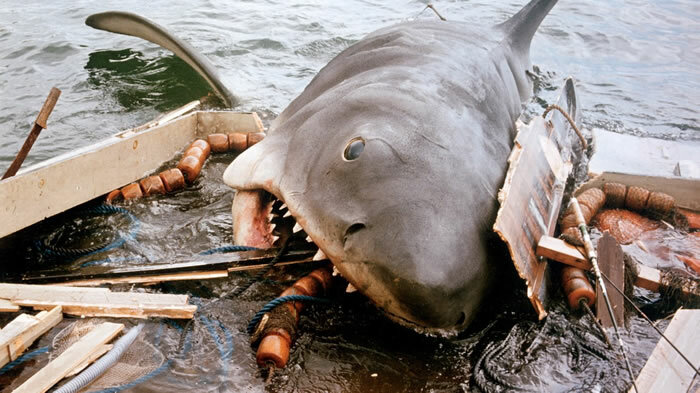 It struck out in the last inning, gave us a monster that couldn't live up to its forebear in the great white shark from Jaws. The glorious thing about Stranger Things is that it seems to understand this danger throughout, and it negotiates the inherent pitfalls with wit, grace, and masterful storytelling. It's an eight-hour campaign that never flags, a novel that never disappoints; both keep you up late into the night. Catching references to Goonies, E.T., Alien, Aliens, The Thing, Stand by Me, Carrie, Cujo, It, Firestarter, The Stand, Silver Bullet, Nightmare on Elm Street, Halloween, Poltergeist, Rambo: First Blood Part II, The Breakfast Club, Jaws, Gremlins, or even Tobe Hooper's re-make of Invaders from Mars is only half the fun. The rest is in how these things all seem at once familiar and new, like how old artifacts stuffed in boxes become treasured memories you'd forgotten. It's the Upside-Down, as the Duffers call it: that place that's like our world but not, the Vale of Shadows -- the place we escape to, are dragged to, and, upon waking, hopefully return from. It's a post-modern technique that's less critique and more compliment, suggesting that modern American horror stems now from not only a shared or collective unconsciousness but a pop-cultural unconsciousness. It's a fantastic conceit, one I see bearing fruit in the works of a whole new slew of great horror writers, among them Joe Hill, Nick Cutter, Paul Tremblay, Christopher Buehlman, and Stephen Graham Jones. It's almost as if the Duffer Brothers have re-opened a mainstream gateway to horror, at a time when a few of us were already wandering into the woods again anyway -- in part, I imagine, because the evils of our present dimension have become so commonplace and frequent that we tend to overlook those monsters that have always lurked in the periphery. No Eater of Worlds likes to go unnoticed. My favorite image in the series is a baby's crib topped off by a mobile of clowns. It's a visual metaphor for so much in the series and in the genre. It suggests that horror is the stuff of childhood dreams from the very beginning, that we're shaped by it almost immediately after exiting the womb, whether we want to be or not. It's always present. It suggests that adults are oblivious to the monstrous nature of what they impose on innocence. It suggests that terror hangs over us when we're least expecting, least equipped. And, of course, in a very literal way, I guess, it (or It) suggests that, well, clowns float. And we all know how that one goes, don't we. Say it with me, friends: "We all float down here...."